Being #FatesTrash, I dived into Fire Emblem Heroes with a passion from the day of its release on February 2nd. Two months in and it’s already given other gacha games a run for their money. Literally. Not only does Heroes bring together characters from almost every Fire Emblem series, but it acts as a solid introduction for newcomers to both the franchise and genre itself. While the in-game currency is a bit on the pricey side, you don’t need to spend any money to enjoy Heroes. This free-to-play game is fun, intuitive, and chockful of content. The developers clearly care about the fans and the giveaways and updates are indicative of this. 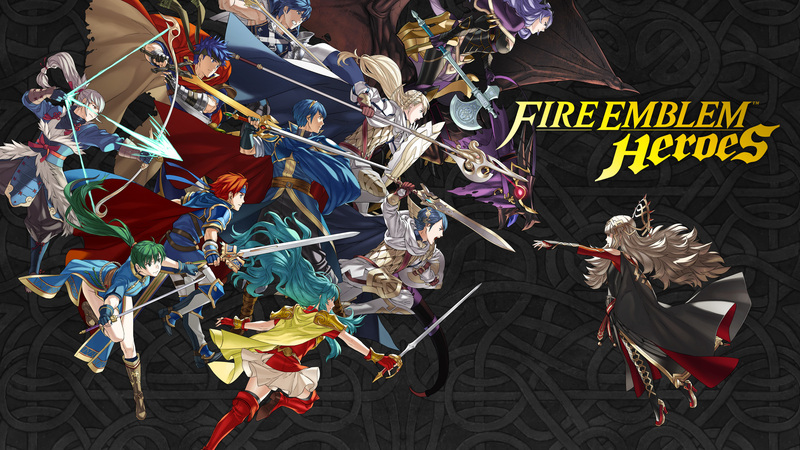 If you’re looking to get into a mobile game or two, Fire Emblem Heroes may be the one for you. Who knows? Even if the gameplay and story don’t peak your interest, I guarantee you’ll discover some new favorite characters. Fire Emblem is a fantasy tactical roleplaying video game franchise having originated from Japan with an emphasis on camaraderie, strategy, and perma-death. And of course, dragons. Just a few days ago, Nintendo released a twenty-minute segment featuring not one, not two, but three future Fire Emblem games to debut this year – in addition to a sixteenth title in the works. As a newcomer to the franchise, I’ve been slowly learning who’s who in each game and find that the upcoming ones do well to showcase fan favorites. Whether you’re in the same boat as me or a veteran who didn’t have the luxury of s-supports and unbreakable weapons back in the day, you’ll be certain to find something to your taste. What better time of year to start planning some indoor events than when it starts to get cold? Don’t get me wrong, I live for the outdoors (Nick Offerman and I are on the same level), but when it comes to rainy, snowy days, it is great to have some indoor plans with friends that do not require spending money at the mall, or boredom. My best suggestion is a monthly board game night! Around this time of year, my friends and I try to put together a monthly board game night. Because of the frequency, we have to invest a bit in getting board games that are enjoyable and fun! We may break off into groups or play one big game. Here is the group’s tested and approved favorites for when you schedule your board game parties. Bonus! I also included some extra tips for the indoor warrior who tries to keep these events cost effective! As tends to be the case with me and popular video games, I’ve only just gotten around to playing Fire Emblem Fates (known as Fire Emblem if in Japan) due to wanting to avoid the mad memefest that was its localization in the U.S. But after more than a year of familiarizing myself with the game’s delightfully trope-ful characters and spoiling everything Birthright and Conquest, I was finally ready to tackle the three routes. For my first run, I chose to side with Hoshido and forged onwards with a clear sense of what to expect. All it took was one painful decision and a knight with the worst bed head in the army to remind me of the incredible power of role-playing when it comes to making players search their own hearts. After the fun of 2015’s convention, Daily Geekette just had to scope out this year’s TempleCon. A switch from February to August was only one of several noticeable changes at this year’s event. The con expanded, not just further into the Crowne Plaza Hotel, but outside as well! Vendors were now available in two locations: The Clockwork Bazaar, composed of folks cleverly advertising wares from hotel rooms, and The Garden Pavilion, a large outdoor tent with dealers at individual booths. My favorite, of course, was Leanna Renee Hieber’s table. Hieber is a talented author and actress (among many other things), whose name you may recognize from a guest post right here at DG. On July 6th, Pokémon fans everywhere grabbed their cellphones and raced to the app store to download Pokémon GO. One step outside and it was clear that everyone was out to catch Pokémon. The word spread like wildfire, and the Daily Geekette sparked a great idea. We wanted to share our experiences of our Pokémon GO journeys with each other and with our readers. Without further delay, here are the different perspectives of the Pokémon trainers at the Daily Geekette. Ready, set, go! Pokémon Go is a lot of fun but is tough for suburban towns and communities. It can be tough for a lot of people outside of the city to keep up and catch as many pokémon because it is based on cell phone data. 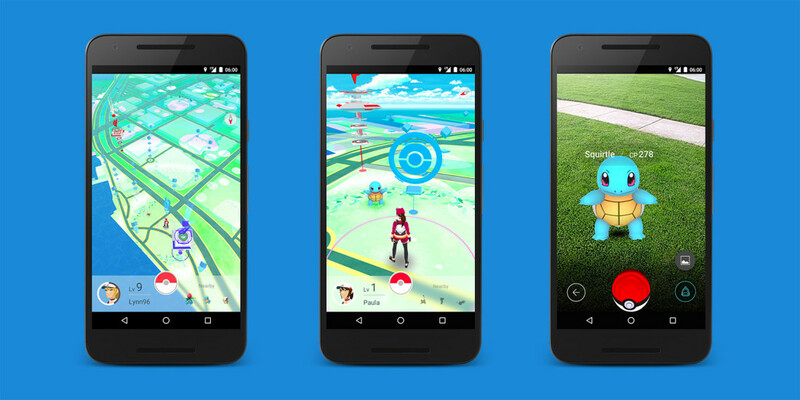 The density of cell phone data in an area means more pokémon, pokestops, and gyms. 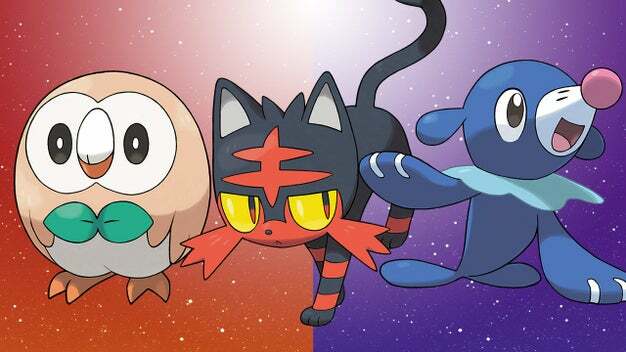 The starters from left to right: Rowlett, Litten, and Popplio. 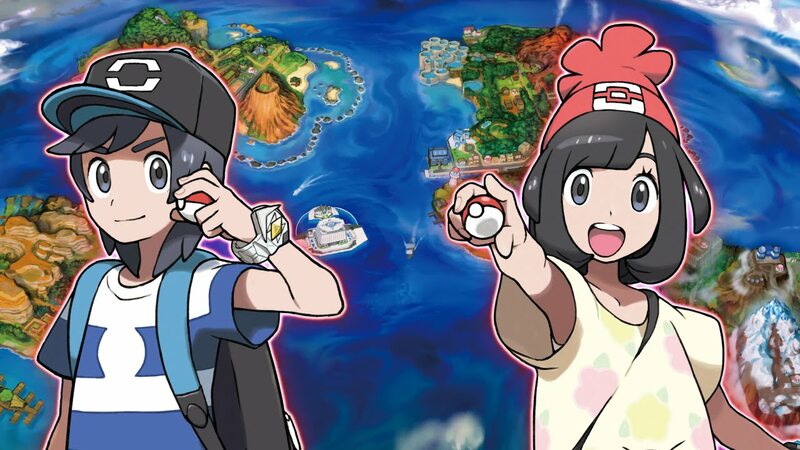 Although I was not particularly fond of Pokémon Black and White nor X and Y, Nintendo’s reveal of Rowlett, Litten, and Popplio as well as the gorgeous Alola region – inspired by Hawaii – have reinvigorated my love for the world of Pocket Monsters. With several Pokémon Sun and Moon tidbits having been released in the past month, speculation among fans is well under way. Staples such as the three starters and common bird, bug, and rodent are already guaranteed – but what of the rest of the game’s ensemble? For this article, I’ll be sharing my top picks for which Pokémon should both return and be realized in the newest addition to the franchise.